How do you define crazy? Crazy means deranged. Deranged means insane. Insane means crazy. It’s an ouroborus. But deep down, we all know crazy when we see it or hear it because there’s something universal about expectations of thinking and behavior that transcends description. 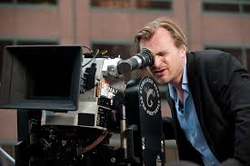 In my effort to use this blog as a means of teaching how to develop skills of interpreting literature, today we have an amazing opportunity to learn about characterization at the hands of a master storyteller, Christopher Nolan. Information/description given by the narrator without any judgment- ex. The narrator of a story tells you, “John was a tall man.” It’s descriptive, but there’s no implication or judgment involved. In literature, all of these are easily accessible. In film, however, Numbers 1 & 2 only apply when there’s a Voice-Over Narration. So I’ll be focusing this analysis of The Dark Knight on numbers 3,4,5. Number six is accessible in the film only through voice over. Here we go. It starts with a claim. After you make a claim, the next thing you have to do is look for examples in the text (this case Nolan’s film) to support your claim. Those examples are called Textual Evidence. That’s right-evidence – information gathered to support a conclusion. 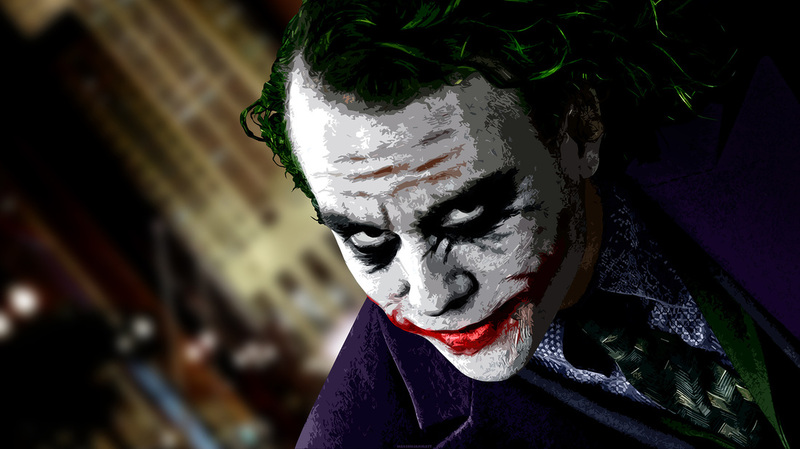 CLAIM: Actor Heath Ledger said of the character The Joker that he played in the film The Dark Knight, that The Joker was “a psychotic, mass murdering, schizophrenic clown with zero empathy” who merely wants to “upset the social order through crime.” However, if one looks at the definition of these clinical terms, one sees that throughout the film The Joker displays clear attributes of the opposite. It’s the Hamlet question – Is he insane or merely pretending to be? Ledger’s performance is a tour de force, a fine line that balances completely on characterization. 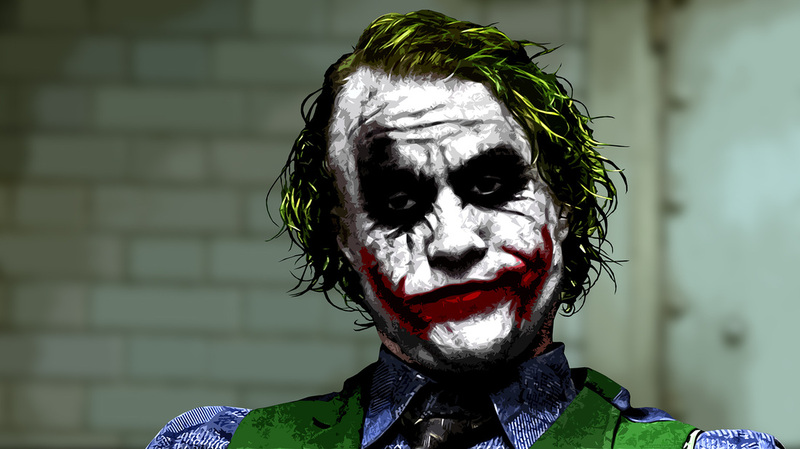 Ledger claims the Joker is a psychotic. A clinical definition deems psychosis to be characterized by changes in personality, impaired functioning, or a nonexistent sense of objective reality. Let’s take these one by one. From our first encounter with The Joker, we see that he is consistent. He is revealed as the master mind behind a bank robbery in progress and through his manipulation of his henchmen and by playing them for their greediness, he manages to be the only one leaving with the money. He is pretending in this scene to be merely another lackey on the heist, this establishes pretense as a tool in his behavioral arsenal. While his actions seem erratic or capricious, we see evidence of advanced planning every step of the way. In the scene where he introduces his plan to get rid of Batman to a gathering of Gotham City’s mob bosses, he is threatened. When this happens, he opens his coat revealing live grenades one can only assume he is more than willing to use. His use of video messages to convey his intentions is designed to instill fear and panic as well as to manipulate certain responses that lead to his arrest. The way he escapes through the clever use of a cell phone also shows the advanced mind of someone well versed in premeditation. Joker’s consistency in all areas shows how his character’s personality shows little change. Does he exhibit impaired functioning? I would argue the opposite. Harvey Dent accuses Joker of having ‘planned’ all of this, to which Joker replies, “Do I really look like a guy with a plan?” of course he is wearing a nurse’s uniform when he says this, another example of how much ‘planning’ he has actually done to manage to get near Dent who is under police protection. Joker says, “I just do things. 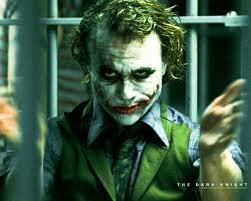 I try to show the schemers how pathetic their attempts to control things really are. I am an agent of chaos.” Joker says these things, but his actions show advanced strategic planning on multiple levels constantly throughout the film. It takes intellect to ‘scheme’ as well as he does. The only other character that comes close to understanding the level of the Joker’s threats is Alfred. He forces others to make impossible ethical choices. He uses obfuscation to make people see Batman as the cause of Gotham’s problems, not him. He turns a simple act of Batman refusing to reveal his identity as Batman making a choice to allow people to be killed. But Joker’s anonymity protects him as much as Batman’s protects Bruce Wayne’s. The Joker’s ability to function is not only unimpaired, I’d say it is heightened. As for a disturbed or nonexistent sense of objective reality goes, Joker embodies the object realities that people wish to dismiss, ignore, or completely deny. Dent says, “The only morality in a cruel world is chance.” That may be true if your morality is only based on equality, but not fairness. Batman says to Alfred, “Criminals aren’t complicated, Alfred. We just need to figure out what he’s after.” Objective reality is something being true outside a person’s own biases or feelings. I challenge anyone to find a statement the Joker makes about society that’s untrue. He tells Batman, “You either die a hero or you live long enough to become a villain.” This becomes a kind of prophecy by the end of the film. He says, “When the chips are down, these civilized people will eat each other.” He sets up his ‘social experiment’ on the boats to prove this. And while ultimately the two boats don’t blow each other up, they vote on one boat to do it. Joker is correct…they will eat each other, just not while others are looking. The civilized people show a lack of empathy for the criminals on the other boat. It’s understandable to the viewing audience because we see it’s rooted in self-preservation. Just because no one ultimately has the conviction to do it or no one takes the ethical stance of greater good for the greatest number of people, does not prove the Joker’s assessment of society to be wrong. He tells Batman, “You have all these rules and you think they’ll save you. The only way to live in this world is without rules. 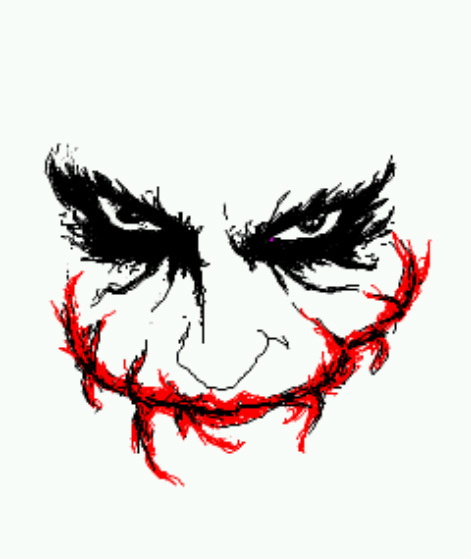 Killing is making a choice.” Joker understands truths about our social contracts that we dare not acknowledge. And those that do, we label as crazy. Joker has a keen sense of objective reality. He simply choses to try and alter that reality. He does not hallucinate, nor is he delusional. He knows there are consequences for his actions and at times seems to welcome them, like when Batman is racing towards him in a dead on collision. He stands in the street says, “Come on. Come one. Hit Me!” He’s not schizophrenic. At no time does he lose contact with reality, though at times he feigns insanity for effect. Viewers may judge his actions criminal; however, he is aware that his actions are illegal and he disregards that concept. Not because of a lack of understanding, but a choice. “Killing is making a choice,” remember? He exhibits none of the five subcategories of schizophrenia. He is not paranoid. He is not disorganized. He definitely is not catatonic or undifferentiated. Nor is he residual. So how then can we say he is clinically insane? The only argument I can see supporting this is Ledger’s claim that Joker has zero empathy. He takes life without remorse. He causes damage at every turn. He mercilessly manipulates others to his advantage. But for me, the scene where he goes to see Dent in the hospital is one of the most complex revelations of Joker’s character in the film. He knows what damage he has done to Dent. Yet he goes there trying to give him the words he needs to hear. That it’s okay to be angry. It’s okay to cause chaos and to break the rules. It’s a bizarre tender moment, one in which he even takes Dent by the hand. So there is empathy, though many may not see it that way. It’s not empathy on a grand scale. It’s much more personal. He’s welcoming Dent into the Hall of Freaks that up until now held only himself and the Batman. 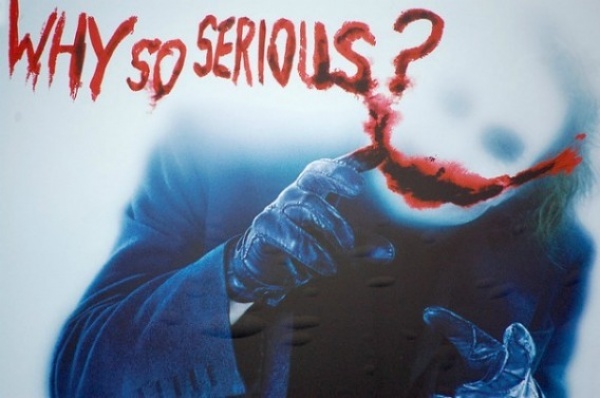 Is the Joker legally insane or just evil? A look at Characterization.